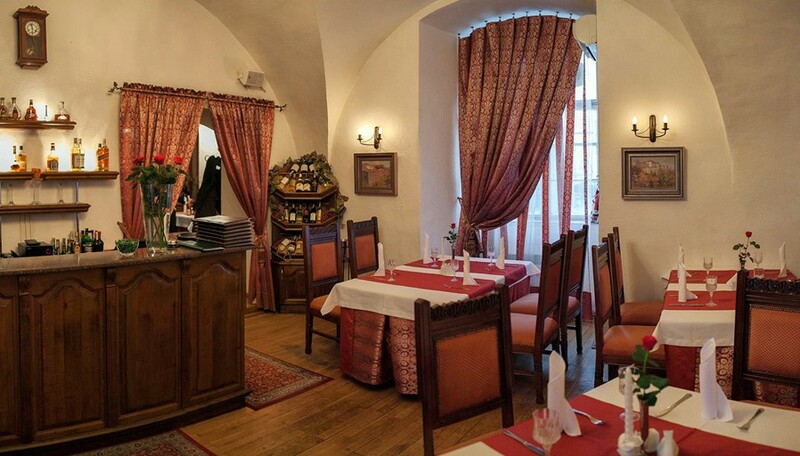 Restaurant complex is situated in the walls of the most ancient monument of Uzhgorod,architectural work of the world importance,in the castle of XIII-XVIII centuries. The castle is situated in the historical centre of Uzhgorod in Capitulnaya street. Lower there is the grandest temple of Transcarpathia the Greek Catholic Cathedral of Exaltation of the Cross built in 1646. From the terrace of “Uzhgorod castle” restaurant one can see the magnificent view of medieval castle stone walls. 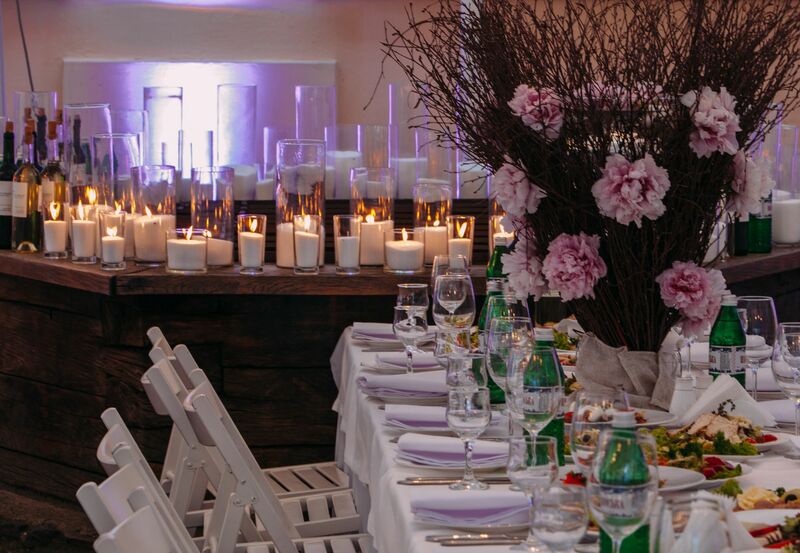 The terrace interior is designed with lavender motives which grow and bloom almost all the summer and autumn at the around flowerbeds. Also one can examine pictures of famous Transcarpathian artist Sergey Biba which represent medieval life fragments. Restaurant halls are situated in that very place where was guard room in middle ages. The guard was near the entrance to the castle bridge. The interior of the restaurant is authentic and unique. One can sit at the cosy table in one of two not large halls. 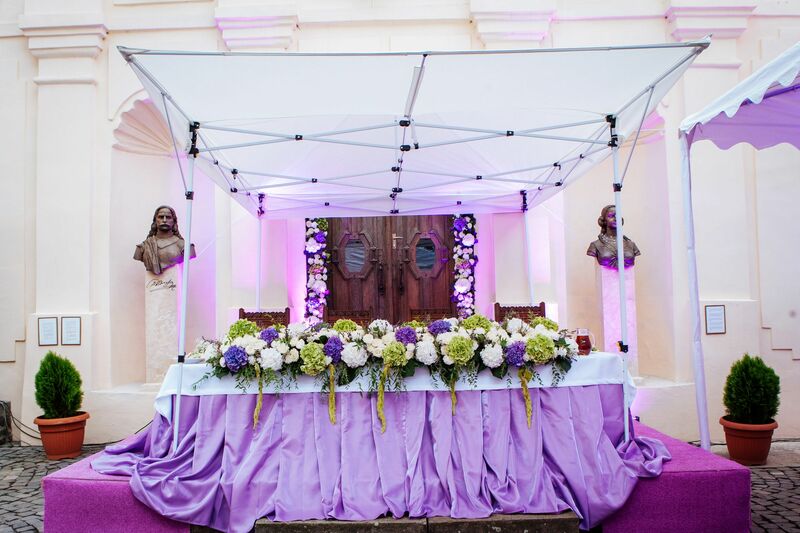 Recently one can only dream about wedding ceremony in the castle. And today it is a reality, which can be planned and realized! Wine Tasting Hall, the unique object of Uzhgorod castle is situated in the castle basement. The combination of refined medieval interior and maximum preservation of constructive singularities create the magnificent atmosphere. But the object main advantage for sure is collection of the best Transcarpathian wines. Our sommeliers treat you with perfect drink and conduct meaningfull tour about the history of Transcarpathian wine-making. 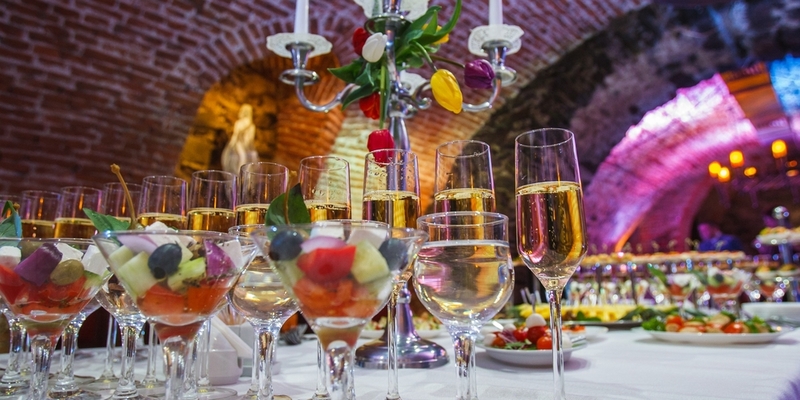 We make corporative parties, banquets, festive events unforgettable in it’s good meaning-entertaining program on the territory of medieval castle is impossible to forget! We are glad to see you on the site of Uzhgorod Castle restaurant – which is by rights considered to be one of the best restaurants of Transcarpathia! Nowhere in the Ukraine a human feels so close to European history, especially Austro-Hungary, as here. 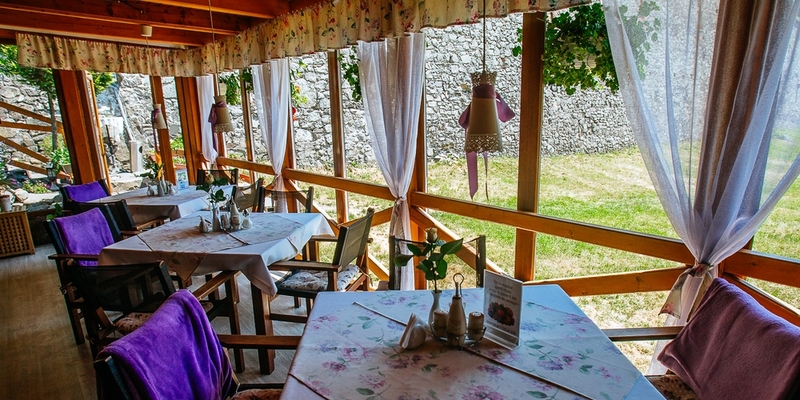 Our restaurant is successfully working more than 15 years and represent Transcarpathian local kitchen (it is marked with Transcarpathian arms in the menu) as well as popular European dishes. Our staff speaks such foreign languiges as English, Hungarian, Slovakian and Russian. Deservedly we are popular among Uzhgorod citizens, that is why we are successful among tourists. Restaurant halls are situated in that very place where was guard room in middle ages. The guard was near the entrance to the castle bridge. The interior of the restaurant is authentic and unique. From the terrace of “Uzhgorod castle” restaurant one can see the magnificent view of medieval castle stone walls. The terrace interior is designed with lavender motives which grow and bloom almost all the summer and autumn at the around flowerbeds. Mysterious uncommon spirit is proper only to ancient medieval castles. It seems that unresolved mysteries are hidden here and attract more and more. And of course legends. The Uzhgorod castle is not an excemption. 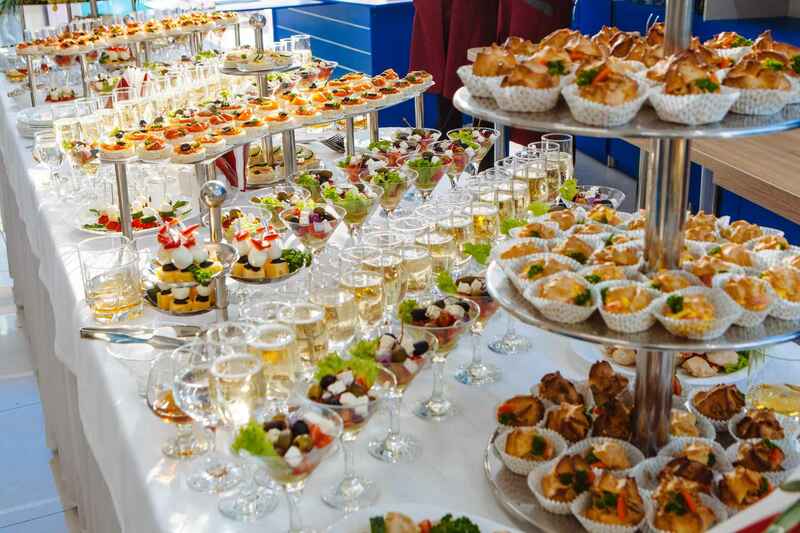 We offer catering service, besides the rent of the halls of the very castle is possible. At your service there are wine card, cigar card, cocktail card.